All change yet again. There is nothing like tinkering to make sure that everyone is thoroughly confused over what they should pay and when. Due on any property that is not your main, habitual residence or one of its 'pertinenze' ('pertinenze' means associated structure and is defined differently in each Comune) PLUS 'luxury' properties PLUS agricoltural land and rural properties 'strumentale' (necessary) for the functioning of your agricoltural land. IMU is due on agricultural land with a deadline of 26th January 2015. At this point the exemptions are not 100% definite. Rural buildings 'strumentale' (necessary) for the functioning of your agricultural land is not liable for IMU. Calculated on the sqm of your property, whether it is residential or not and what class the property falls into. If it is residential then the number of people resident affects the bill. To be paid by the dates fixed by your comune in at least 2 installments. Calculated on the Cadastral value of your property increased by 5% and multiplied by 160 (could be a slightly different number for land etc). For 2014 the maximum a comune can ask for is 0.25% of this calculated figure. The Comune can increase this by another 0.08% IF they offer discounts for Prima Casa. To be paid by the dates fixed by your comune in at least 2 installments. You must also be given the opprotunity to pay in one installment by 16th December if the Comune has not fixed the rate by 31/5/2014 for Prima Casa. For other property the first instalment is payable by 16th October if your Comune has published no rates by that date and the final installment is due on 16th December 2014. This is paid by the owner of the property BUT the comune can choose to have the tenant or occupier of the property pay anywhere from 10% to 30% of the bill with the remainder due from the owner. This is paid on an F24 form and you will get no bill. This is not payable on agricoltural land and at a reduced rate for buildings 'strumentale'. IRPEF - New for 2013 is also a reintroduction of IRPEF on second properties, that are not rented and owned in the same comune as your main residence. This is calculated by revaluing your Cadastral value upwards by 5% (like TASI & IMU), multiplying the result by 33% and dividing the result by 2. IRPEF is declared and paid in your tax return so this may mean you now need to complete one where you didn't before. For the purposes of IMU & TARI your prima casa/main residence or whatever you wish to call it is where you habitually live. For the purposes of IRPEF it applies only to property where you do not have residency and is not where you habitually live and is not rented out. NB - only IMU and TASI are paid using the F24 form. The other two tax is paid on a precompiled form from your Comune, although TARI may be paid on the F24 (as at today 09/05/2014). Any IMU declarations (e.g. to claim a discount for an unoccupied property) have to be submitted by 30/6/2014. This is 6 months earlier than before and will prove difficult if the Comune has not yet announced and reductions. Link to F24 form to pay TASI & IMU. Crikey! This is all like jam to me! So I have to give some more money away to someone and get diddly squat back for it? I'll need to sit down and understand this tomorrow............my lunch was very enjoyable today !! Admin wrote: For the purposes of IRPEF it applies only to property where you do not have residency and is not where you habitually live and is not rented out. and the IRPEF is local - its onlyfor property in the same comune asyour prima casa. For example - I have a prima casa, and I have an office and I have a small flat I use when family come to visit. So now I will pay IRPEF addizionali on my office and flat, because I dont ive in them and I dont rent them out. THat is in addition to the national irpef, the regional irpef and the provincial irpef I now have communal irpef. What joy. Having lived around the world a bit, I have never come across such a load of tax tosh in all my days ! I own only a single house in Italy(prima casa), I now do not know what I have to pay or when I have to pay it. I don't know if I will get sent a bill and I don't know which taxes I have to work out myself ! I agree with Logitech..............what do we get for these taxes ! Absolute madness ! Just someone please send me a bill !!!! Well Vicino, you'll get a bill for TARI but not for anything else. In your case you will have to pay TASI and TARI (plus IMU on any land) but we don't know at what exact rate until the end of April. I reckon it's reasonable to assume, in the absence of any other info, that TASI will be due by 16 June and December. Hope that helps. Steve, the property has to be located in the same comune where you live so it is not the same tax as the one on property owned abroad. It is likely to affect those poor souls who have inherited something from their family in the same town and not real second home owners who, let's say, have a flat at the beach. It makes it a very unfair tax IMHO. It might make people more inclined to accept reasonable offers on property they have for sale at silly prices now they have to pay yet more tax on them. Couldn't agree more Flip. Ain't gonna happen tho'! Steve, that is a simple question with a complicated answer but to try to keep it simple - when we pay our taxes we pay an element of IRPEF to the State, Region and Province and now a shiny new one to the comune (if we meet the rules). Do not think anyone will ever get their heads round the stupid system here. Begin to think a 3rd world country has a better setup. Life here is utter confusion as to taxes, but they love to fine you if you get it wrong. No intelligence in the government or provinces etc for sure. Do we know if anyone has actually refused to pay these new taxes and did it get to Court? The Italian mentality seems to be 'Accept everything, Challenge nothing'. Nowhere else would you be expected to pay a bill/tax without the Commune/Government sending such things out to the individual. Accept eveything challenge nothing? Perhaps on the surface. the undercurrent is ignore everything until you get caught, especially if they want money. I think it's different in the North Modi. Thanks a lot re what type of bills I should expect !! It really is so annoying, how will this country move forward if they cannot get some sort of stability in tax collection. Thanks V, but we are already resident here and have been since just after we bought... It's the other way on we are thinking of going i.e. denouncing our residency here and spending whatever time is required back in the UK e.g. less than 3 month at a time and less than 183 days in their tax year... Not that I think the latter matters much with us as we likely still have sufficient ties to be still considered tax resident in the UK. I have to say Steve that we too are starting to consider a position similar to yourself, early days and I haven't given it a lot of thought yet but will be interested to see how things pan out over time. Hello, new to this forum (wondered where you had all disappeared to). 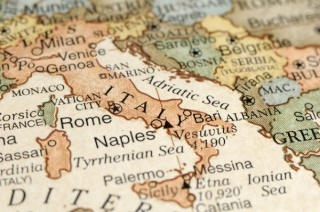 I am due to move out to Italy in the next few months but reading the proposed tax situation makes me wonder if I should go for full residence given the fact I have secured work that could give me justification for working in the UK for 190 days per annum. Currently I own a house and an apartment in the same complex and reading the bit about IRPEF it suggests that if I'm resident I will need to pay this tax on theapartment. However, if I'm not resident, I won't have to pay IRPEF, surely this can't be the case, if it is it seems grossly unfair on locals who may, through circumstances, have inherited property. Can anyone shed any light on this as I'm confused and also cautious.